My feet was still hurt when I reached Kanazawa after exploring and mesmerized with the beautiful nature view of Tateyama Kurobe Alpine Routes the day before. This doesn't stop me from exploring Kanazawa city on the next day. If Matsumoto is a city popular with Ninja and Samurai, here at Kanazawa popular with Geisha. They even have Geisha district here. Kanazawa is the capital of Ishikawa Prefecture , on Japan's central Honshu. 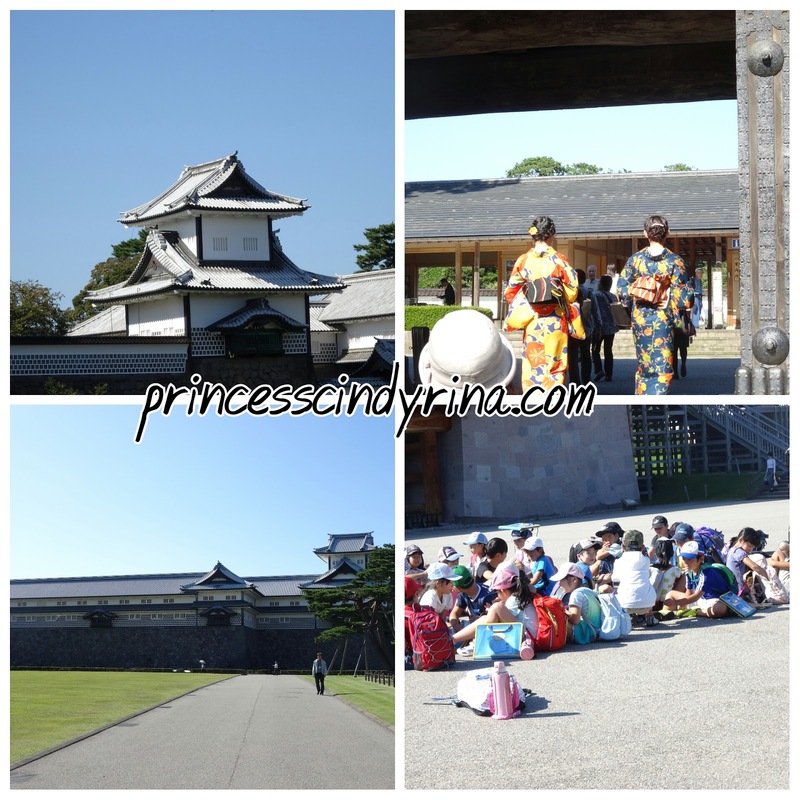 It's also known for its well preserved Edo Period districts, art museums and regional handicrafts. 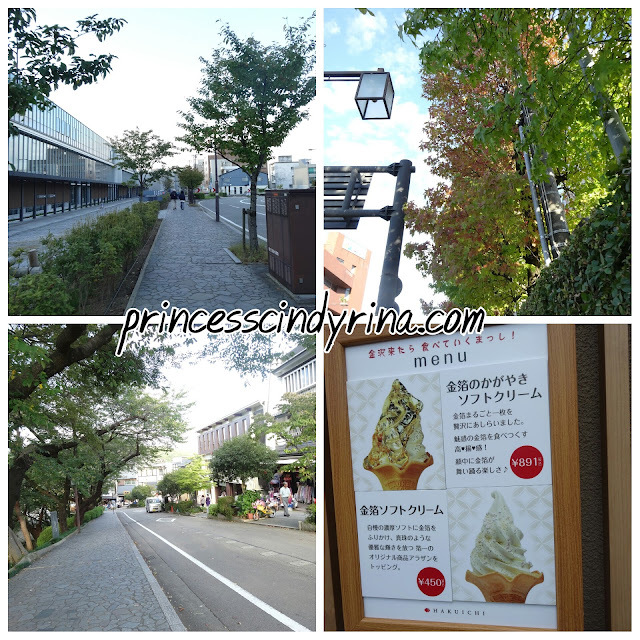 Started my morning walking towards the famous market of Kanazawa, The Omi-cho market. This market was established about the middle of the 18th century. 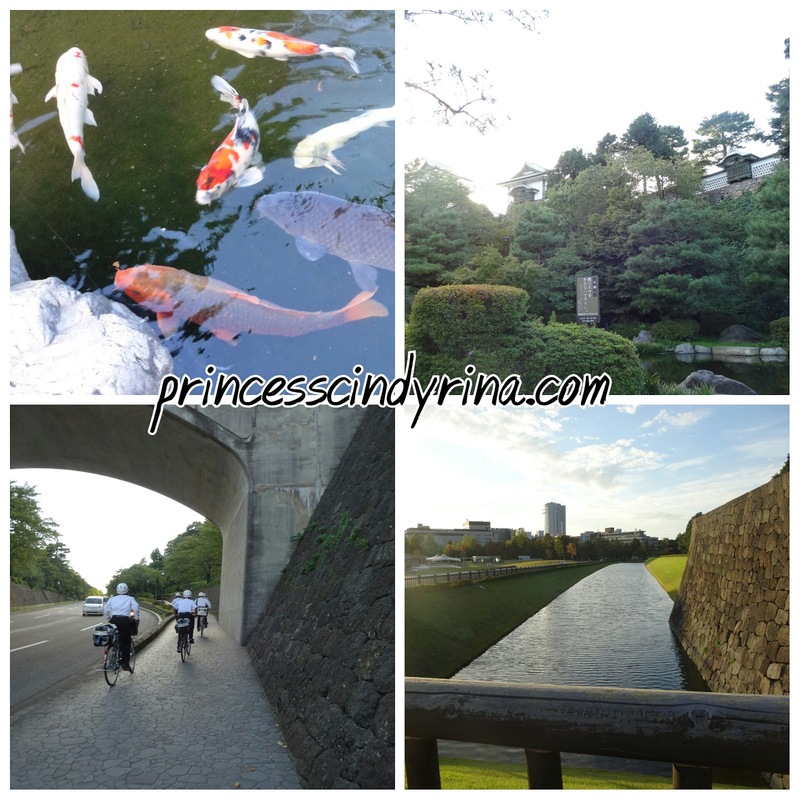 A MUST VISIT place if you at Kanazawa. Its operating hours start around 8:00am and end around 5:00pm. 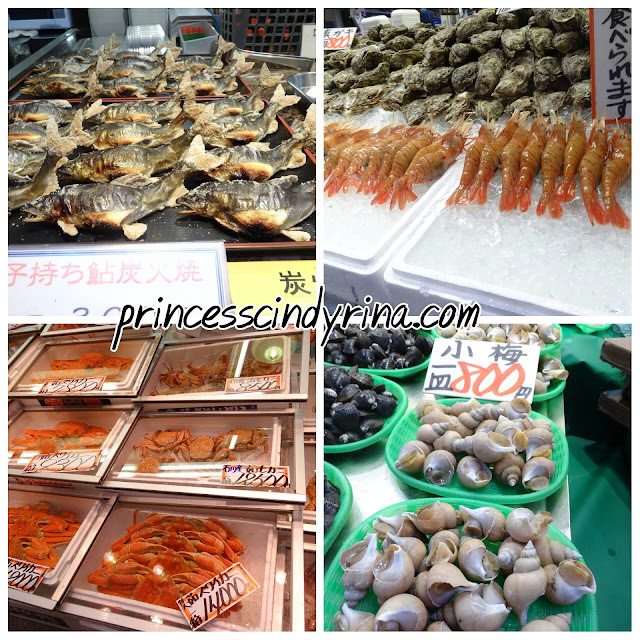 There are around 170 stores including sores sell the fresh fish and seafood caught from the Sea of Japan. I seriously go crazy greedy walking around this market. So much food to sample caught my eyes. WTH! That tempura is super delicious! I bought one only for my lunch picnic at Kenrokuen Park. I should have bought more.! No point regret. I visited around 4pm thought of buying for dinner, the market has closed. isk isk isk..Even that melon was so sweet and fresh. huhuhuhuh should have bought more. This one cannot eat la..so raw. I love sushi but not to this extend eating in the market without even boil it first. Haih!!! I wish I book a studio with kitchenette like in Busan last time. At least can buy this and have some mini steamboat. So delicious! I bought this for my picnic. Love the hotate though! Big and super fresh too! I bought too much edi for my picnic and my bag was super heavy for me to walk around by now. Yeahhhh! that glutton woman bought so many food for lonesome picnic. Before start my long walk to Kenrokuen Garden, drink this super authentic soy bean. Boiled the way I want it to be without sugar and thick with the goodness of bean taste. Haihhhh! the weather was super hot too. Gosh! its nice to take photo with this weather but not that nice to walk. Freaking sun burn! I was sweating wet by the time reach the garden. Some more end up at the wrong entrance. isk isk isk ...have to walk further is it! Ommmaaaa!!! leg so tired!!!! 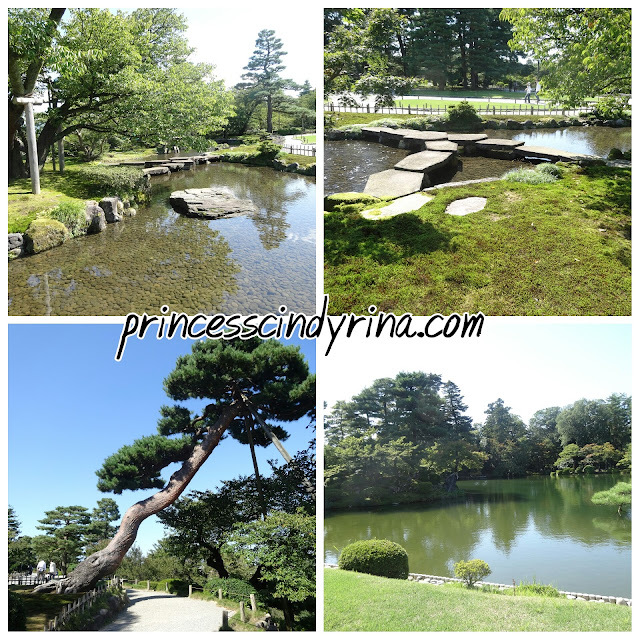 Kenrokuen Garden, begun in the 17th century and a famous for it strolling style landscape garden with characteristic of a typical landscape garden of the Edo period (1603-1868). You can't get enough of Kenrokuan garden landscape which has classic landscape designs incorporating ponds and streams. Adjacent to this Kenrokuen Garden is Kanazawa Castle. See the way they stacked the rocks old fashion built by era. From rough to sleek design rock stacking up for foundation. It still remain strong and preserved until now! I have my picnic on one of the bench under one of the cherry tree over look small stream.It was hot and windy at the same time.Not bad after all. Eating deliciously with the scene of crow bathing in front of me and the others eyeing to share my food. Me : GO AWAY!!! I also not enough...I bought one each only la. 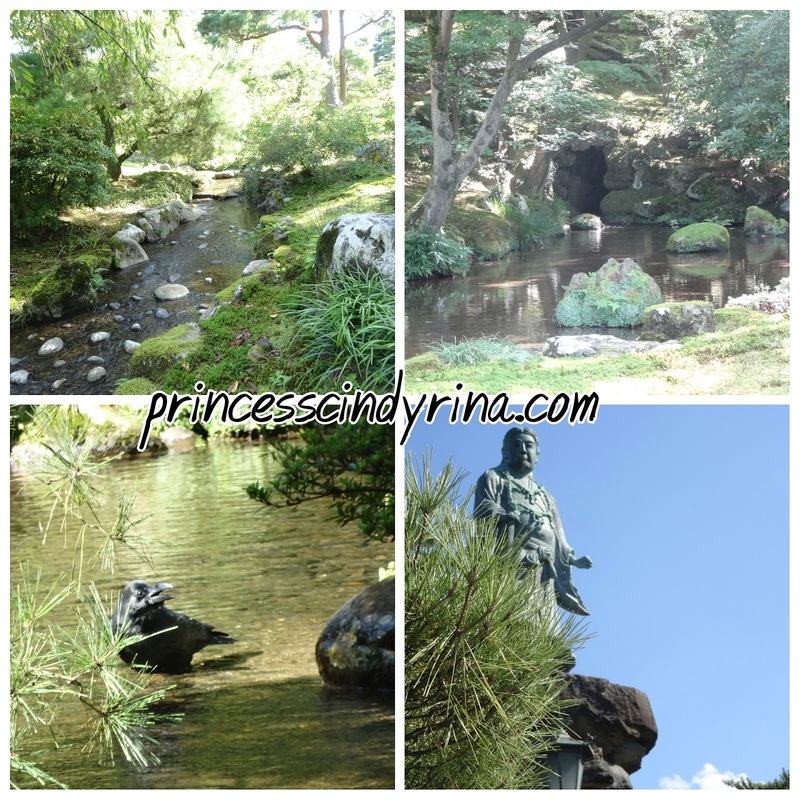 My conversation with crow at Kenrokuen Garden went very well. hehehehe... like this also can hor? Bottom right : Thats the statue of Prince Yamato Takeru. This bridge is made of eleven red tomuro stones(andesite) laid out look like wild geese flying formation. It also called 'tortoise shell' bridge because the shape of each stepping stones. There are many tea house around too. This place is really nice to have a stroll with so many beautiful pines trees, plum groves and beautiful lakes too. If you get lucky can see some wild bird walking around freely and eagles flying above manning the garden. This garden is actually adjacent to Kanazawa Castle. By this point, my leg almost giving up. My heart was pushing hard to move on. 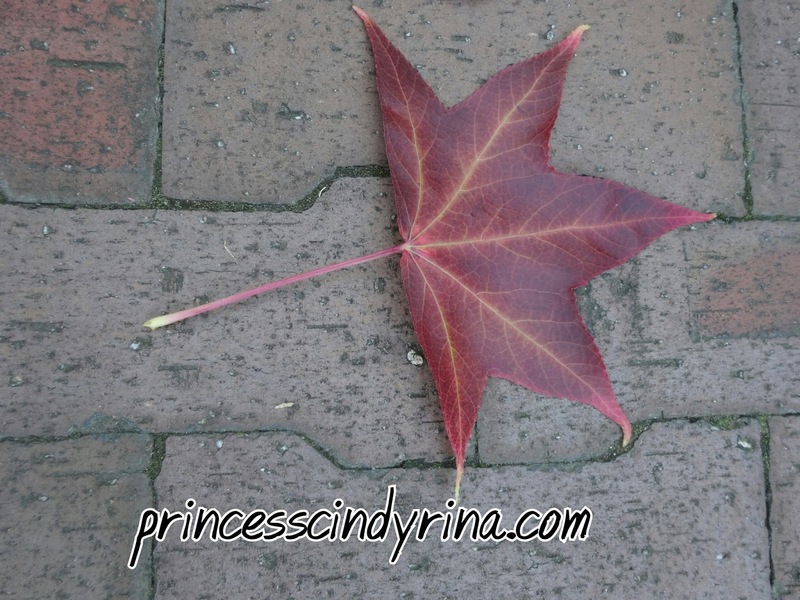 I follow my heart instead! whatever pain , I will bear it later. It was a beautiful afternoon. I visited many palaces in China and Korea, the structured and design almost the same between this countries. Beautiful carving and colors. Here in Japan I was greeted with less grand plain black and white structure. So relax ar ...this two girls! Top left :Castle store room. Eerie feeling as soon as I enter this place compound. I quickly move away to other place and then end up in small jungle which end up a place where they buried the people who fought for the country during that Maeda era. Gosh!!! seriously??? Scary feeling all over me. WTH!!! 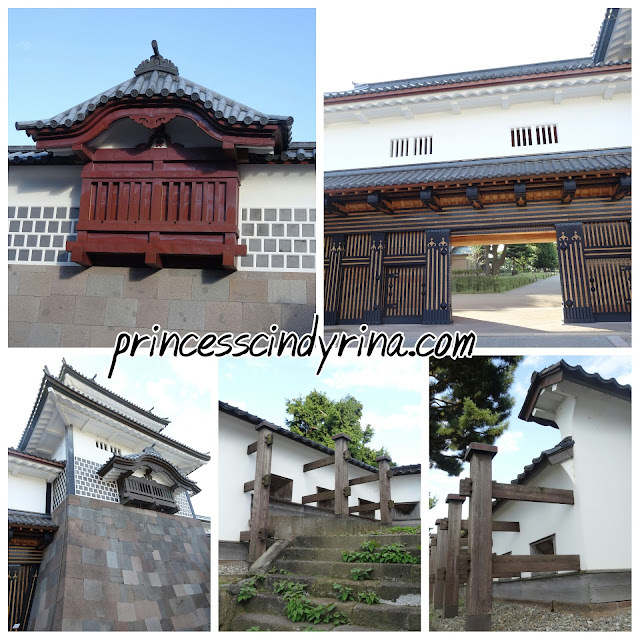 Bottom left : Hashizume mon Gate - this gate surrounded by stone walls and double fences. Bottom right : The castle . As usual when entering castle in Japan need to take off shoes and put it in plastic then carry it around. My five fingers sock bought from store at Asakusa for 300 JPY. Very comfy and not that expensive! A must buy things when in Japan. Sigh...most ladders are so stiff up too. WTH! 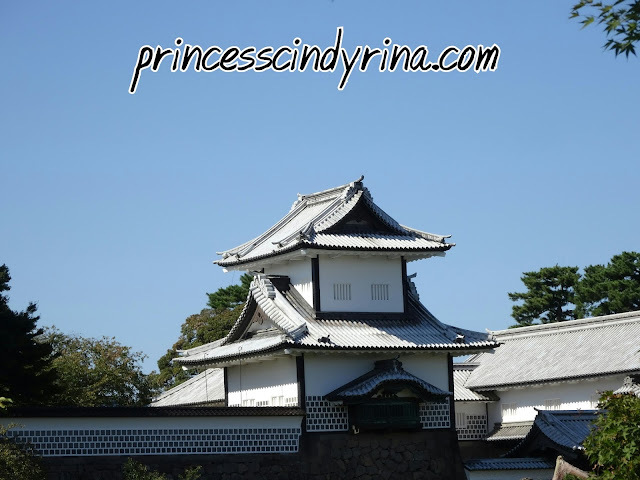 I love the traditional wooden construction method used to build this castle. It really remain strong. 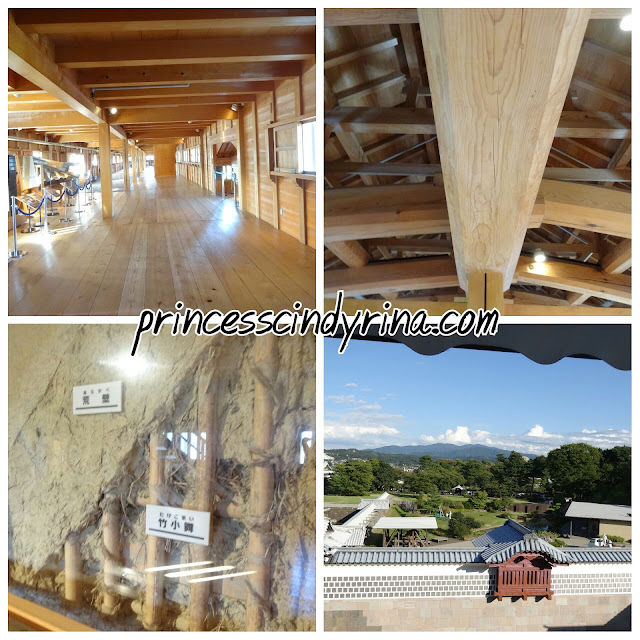 I watched the video shown in the castle on the method of traditional construction. Really interesting! 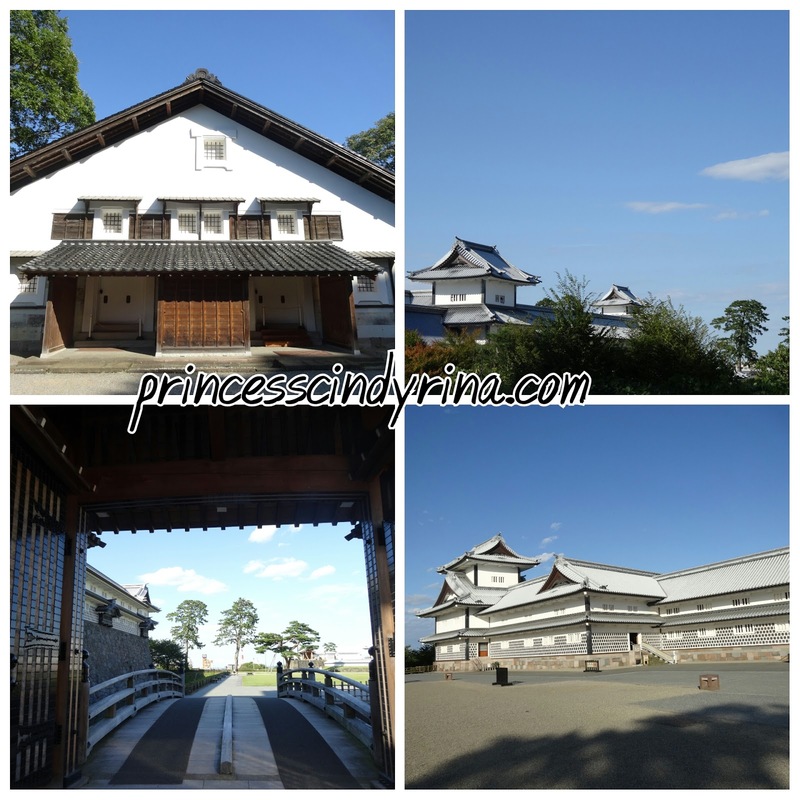 Don't miss this if you visit to Kanazawa Castle. I spend more time here. Bottom left : That the watch tower. See the small window for archerer and also stone dropping slots. Bottom right : Thats how the structure remain strong. I thought of going to Geisha district but time is getting dark soon. So I end up heading back to hotel. On the way saw this place sells soft ice cream with gold and silver topping. So luxury huh! Thought of trying this but I unable to take ice cream very well. 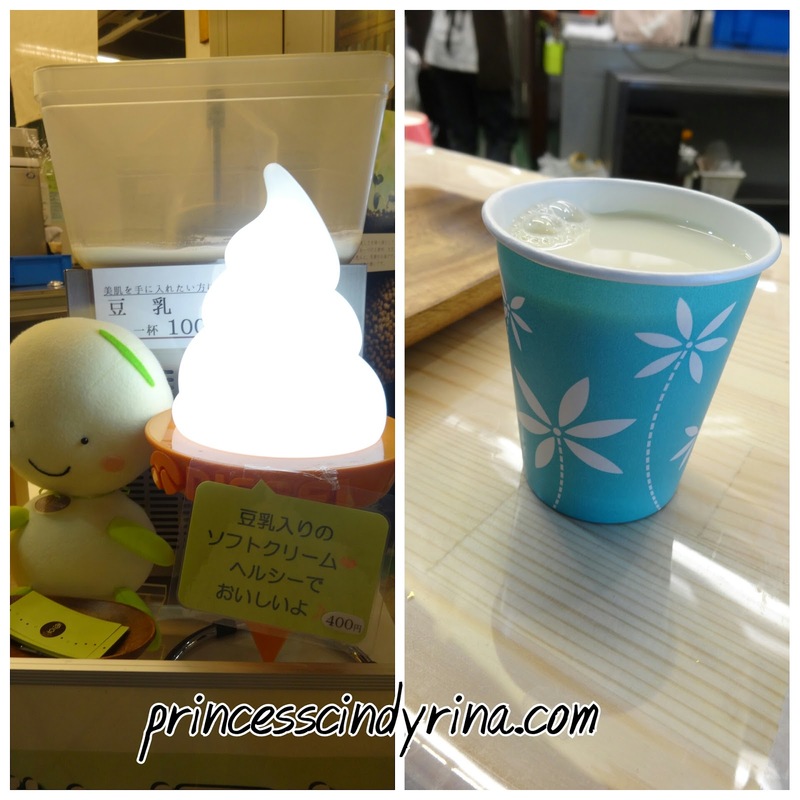 I just ate green tea ice cream bought from vending machine near the castle moment ago. Second ice cream for the day???? Make me feel sick! Sun going down soon and its getting cold too. Lovely evening view. I like this so much! There goes my day at Kanazawa. 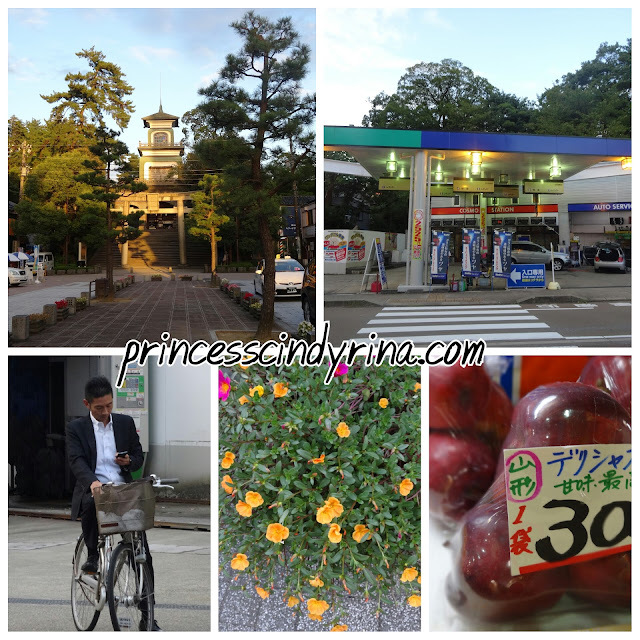 I need to wake up early the next morning to catch bus to small village of Shirakawa go. I love cycling! I believe it is an unforgettable exp cycling there. 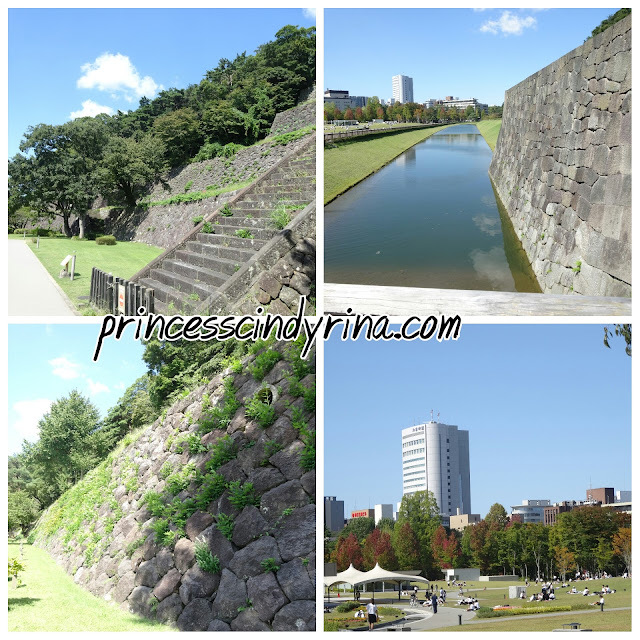 Fresh air, beautiful views, Japanese strangers and etc. What a wonderful trip. I believe a lot of sweet memories were made! nice trip you go Japan. Whats your next plan? Go where for vacation? Love all pics you snap here. New place to explore in Japan. 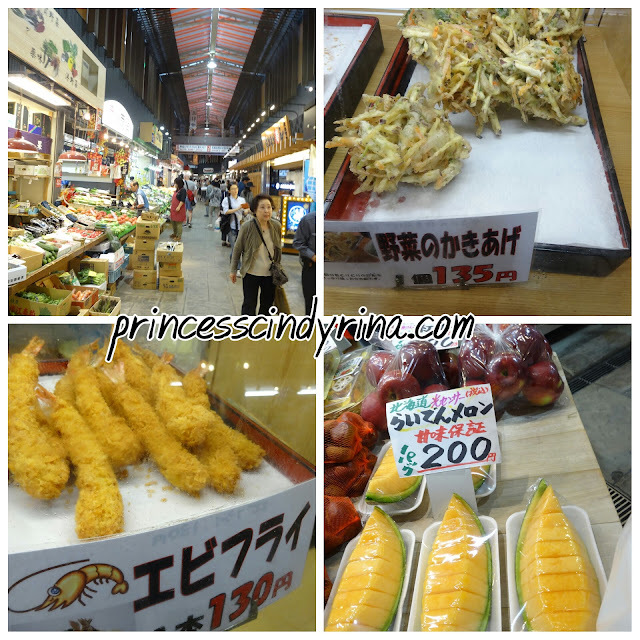 So many tempura food and also fresh seafood. The price expensive or not for the seafood? I love the gardens! How I wish I could lying on grass with relax like that 2 girls. 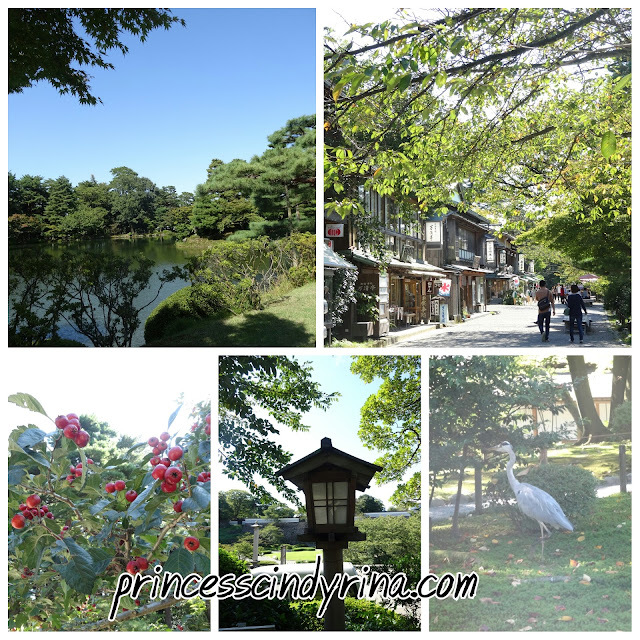 So many nice place at Japan to visit. Must put at my need to do list next year. Trying the food there and enjoy the nature. The seafood looks fresh. The prawn is so huge. The tempura looks tempting. Oh no... I am hungry now. The place looks amazing! 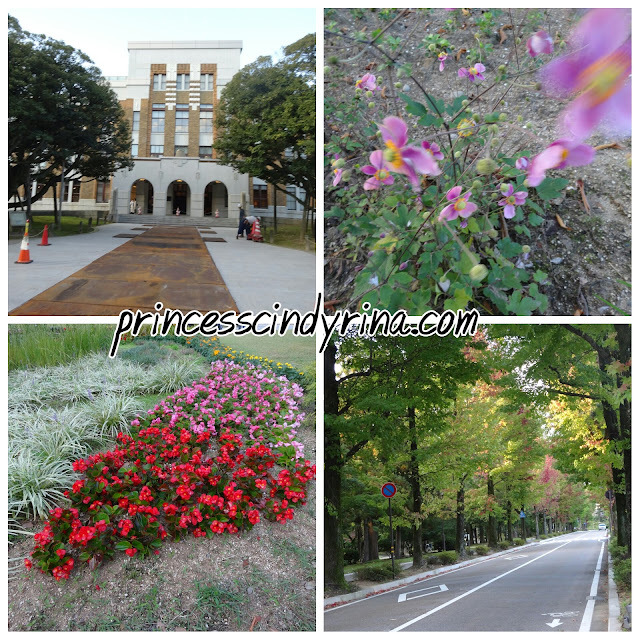 You always visit nice and memorable place hehe! I am in awe of the beauty of the castle. and the thought of laying on the grass the whole day with a book in hand? I'd jump at that anytime. What a beautiful place! left evything down and Lying on the grass ! Such a beautiful and breathtaking walk you have and surely to remember. Food looks very tempting to me. you visited so many of the spots in Japan, I can just imagine the toll it took on your legs and feet. Awwww.... Another post you have written about Japan... Love your sharing a lot.. Wish I can visit this country soon. wow the seafood looks so mouthwateringly good, they are big and fresh looking. wanna eat there! 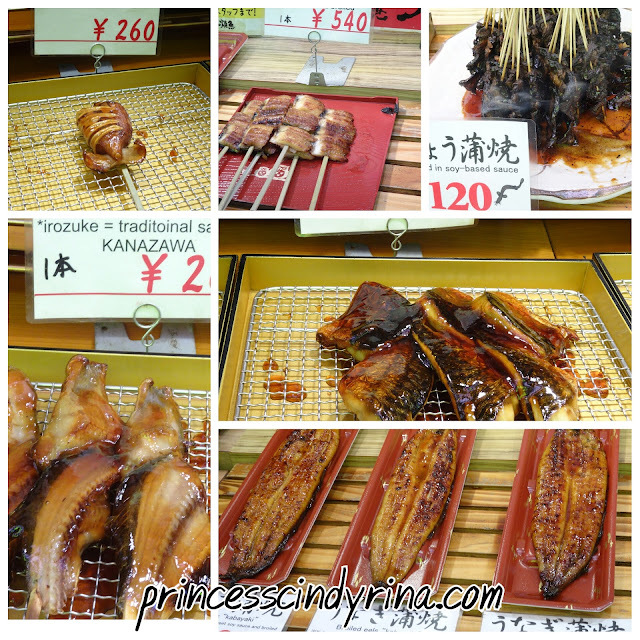 Japan foods are so awesome. Thanks for sharing this awesome itinerary.